Even if the subject matter and setting is a bit grim, there’s a lot to like about Plastic. 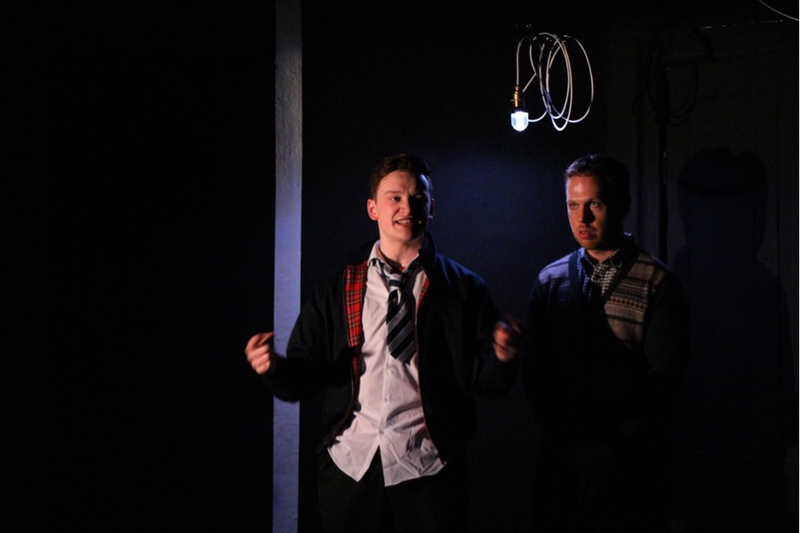 Kenneth Emson’s gritty and evocative play about growing up in Essex. School can be the best of times and the worst of times. And here is a tale about school life that defines and haunts two characters in the years to come. It’s currently playing at the Old Red Lion Theatre. Coming of age can come quickly. Girlfriends, peer pressure, schoolyard beatings. And football of course. 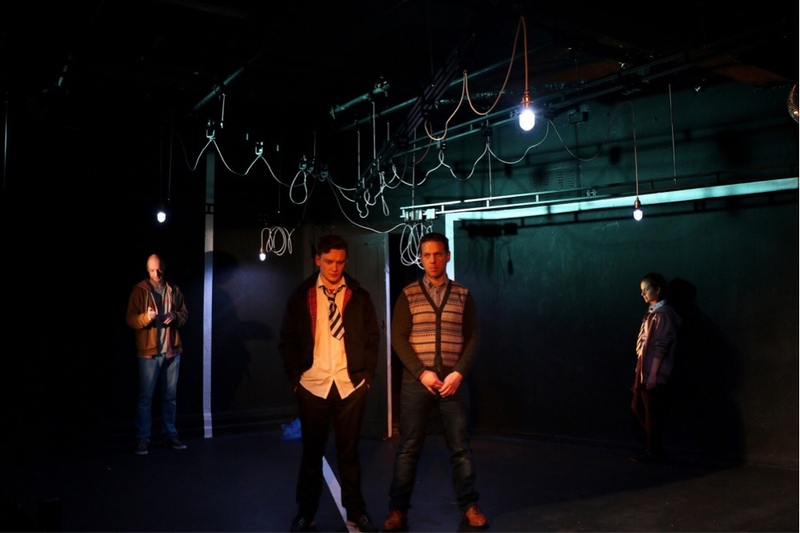 The piece mixes drama and performance poetry to tell the story of young people forced to grow up. There’s Lisa (Madison Clare - making her professional debut) with her blazer and bold personality. Kev (Mark Weinman) the former captain of the football team who scored the winning goal in the final, but who can’t seem to make much of a living now. Ben (Thomas Coombes) who always got beaten up and now’s an accountant. And his loyal mate Jack (Louise Greatorex) who will stick up for him no matter what. The cast work well to bring out the detailed characterisations in the story. The production looks great with its bare space with the markings of a football pitch. There’s also hanging lightbulbs that could be microphones... Or confession spot lights. 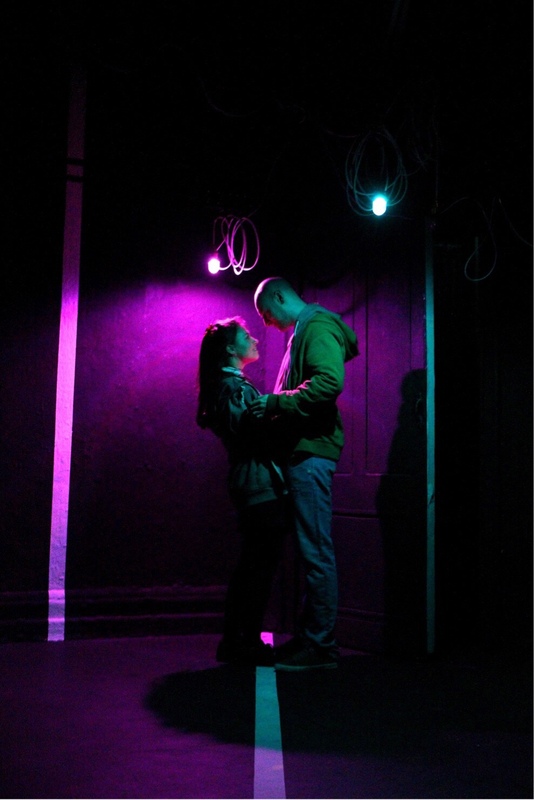 Directed by Josh Roche, Plastic is at the Old Red Lion Theatre until 21 April. It will then have a brief run at the Mercury Theatre in Essex from 26-28 April.